Wes Hamner is a founding member, senior coach and Director of Urban Movement. He grew up exploring the woods near his childhood home in Tuscaloosa, AL. All of that running, jumping and climbing trees foreshadowed his future interests in natural movement exploration. As a teen and adult he added to his repertoire different forms of moving arts from around the world including Kung Fu, Tai Chi, Qigong and Yoga. It was by chance, after completing his Masters in Acupuncture and Oriental Medicine in 2009, that Wes discovered the true joy of moving epitomized by L'Art Du Deplacement/Parkour. He was instantly hooked! After spending time developing his own skills, he helped start Urban Movement with a few of his fellow practitioners. 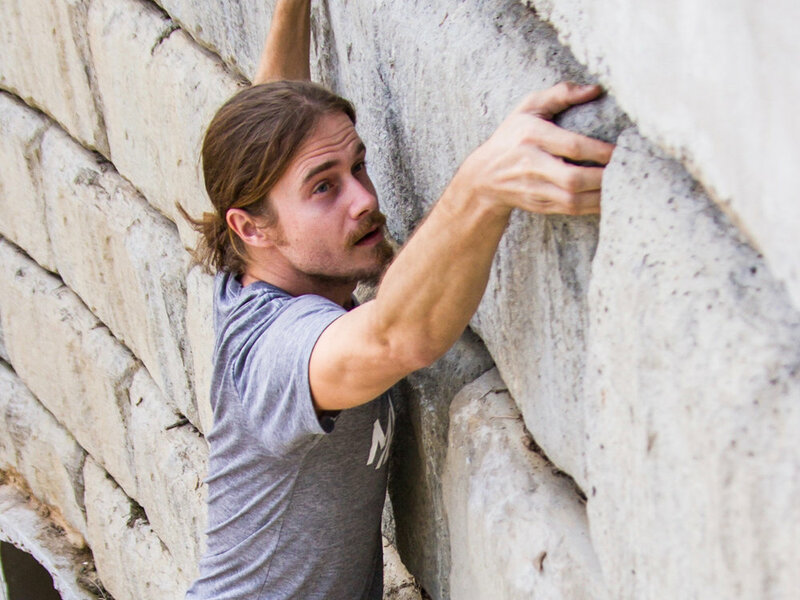 Since then he's had the pleasure to train with some of the Yamakasi (founders of the discipline), and with many other world-renowned movement teachers such as Dan Edwards and Chris “Blane” Rowat of Parkour Generations and Vic Verdier of MovNat. Wes holds ADAPT Level 1, MovNat Level 2 and MovNat Combatives Certifications. In addition to acupuncture and bodywork, Wes uses various forms of herbal therapy - including homemade liniments, ointments, and decoctions - to help those with injuries recover faster and get back to moving. He practices at Eastern Harmony, an established clinic with offices in Montrose and Memorial Hermann Tower and Lazuli Homestyle Holistics, a clinic he co-owns with his wife Marie who is also a licensed acupuncturist herbalist. Wes is particularly interested in sports medicine, pain management and general wellness. He is always learning and searching uncommon sources in both movement and medicine to expand his knowledge for the benefit of his students and his patients.